In this day and age everyone is concerned in saving energy and doing their bit for the environment, and it is for this reason that heat pumps are so popular, and of course homeowners do what they can to find out about all the different types that are available. Ductless heat pumps are a sought after choice because they are so easy to install and operate and with proper maintenance and care a ductless heat pumps should perform for over 20 years. What consumers love is that with a ductless heat pump system, there is no need for duct work and no need for expensive installations. It does not have a duct system or an air distribution but works by delivering the air from the indoor part of the device without the need for a duct system. The units come with hand-held remotes and this allows you to cool or heat certain areas of your home during certain times, resulting in substantial savings on electric bills. Some units have that first blast of chilly air when the blower starts, and if that irritates you, you can choose a model with a pre-heater for the air. These hand-held remote controls give you control over everything like one and off times as well as temperature, so for instance if you stay in an area with high humidity, you will be able to select a model with a dry-mode setting, adjusting the flow so that you get this comfortable, low-humidity air. Mitsubishi ductless air conditioners have also been designed specifically for the Canadian climate and they are different from the ones which are available in the United States. These special Canadian units are designed with low ambient cooling options, which are pre-installed. On top of that their systems are so ultra quiet that apart from the comfort levels, you would be checking to see that it is in fact on. In fact so quiet are they that they could even be left on during a recording session in a studio. They have units inside and outside of the building, with the inside unit doing the air conditioning. The units are joined tubes which get the electric power and moisture build-up or condensation to and from the inside and outside of the home. The concept of ductless air conditioning has been around for decades and this dehumidifying function is important because if the temperature is right but the humidity high you will be uncomfortable. High humidity causes health problems with young and old, but apart from dehumidifying, they also have a filter for indoor air, increasing its quality and removing pollutants from the air. A ductless heat pump efficiently combines the flexibility of a room air conditioning system with that of a cooling system. If you have any queries about going ductless, you can contact a qualified installer who will have the expertise to answer your questions and provide you with all the information you need. A ductless system Homeowner’s Guide is also available for download, and which will be of help to maximize the efficiency of your ductless heating and cooling system. 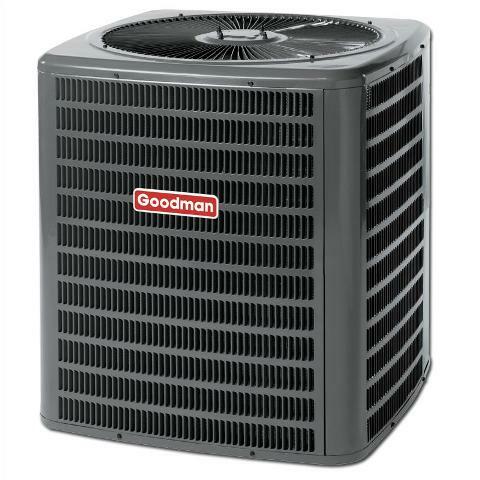 Ductless Heat Pump Homeowner Guide (PDF). Bear in mind that to qualify for incentives, you may be required to have your system installed by a specific contractor. These installers will have vast experience with ductless systems and will have already demonstrated their commitment to quality work. To find one of these installers, you can look on the Internet for a list of qualified heat pump installation contractors in your area. You need to make sure that the unit you are interested in is the correct size for your needs. This is very important because systems that are too large or too small for a house end up being inefficient. You will need to ask how many indoor units you need and how many rooms you want to heat ad cool. Being ductless requires that you have one unit for each room, however for a kitchen and dining room which are connected, you will only need one. Look at each room and look at the energy efficiency of the windows. Does sun pour into the room and are there other heat generating sources. Check out the height of the ceiling as well. Once you have answers to these questions, a heat pump technician will be able to help you make the right decision. About the heat pump you need. With the installation of heat pumps, you never have to fret about things like sizing and features because there are ductless heat pump suppliers and installers who will provide you with an energy analysis to show you the operating cost of your pump. On top of that you can have your hone zoned to determine how you use the rooms in your home and what their heating and cooling needs are. This is important because you may have unoccupied areas that do not need heating or cooling. With ductless heat pump system zoning, the heat pump specialist will divide your home into certain areas and provide you with control of which parts are to be air conditioned. This kind of zoning meets the specific temperature and airflow requirements of a particular area, without having an impact on other areas. 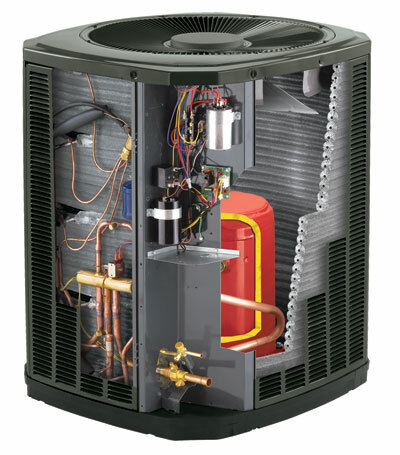 When zoning is integrated with variable speed and two stage HVAC systems, you get peak performance and efficiency. Ductless heat pumps are available from all the top brands like Carrier, Sanyo, Klimaire and LG amongst others which means there is going to be something to fit everybody’s budget, and you can compare features with any of the brands. With so many different brands available, it can get confusing for consumers when choosing ductless heat pump system. Always check your requirements first and then look for a system that has those features, and soon you will have narrowed your search down. Checking for things like the best warranty and the SEER rating will also help you when making your choice. Always look for units with a high SEER rating. Units with high SEER and inverter technology are the most popular choice because they can save you a lot of money on electricity bills. 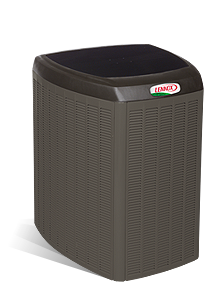 Ductless heat pumps with the inverter tag use a variable-frequency drive to control the speed of the motor and compressor. Small wonder that the inverter principle is applied to so many household appliances. Also known as a mini-split heat pump, their job is to make your home more comfortable, and in fact research has revealed that ductless heat pumps can save up to 50% on energy bills. They are reversible, 2-way heat pumps that make use of electricity to transfer heat between outdoor and indoor air by compressing and expanding a refrigerant. They are made up of three parts: an indoor- and outdoor unit as well as a remote control that operates the inside unit. The indoor and outdoor units are connected by refrigerant lines installed, distributing heated or cooled air into the room. You will see these types of heat pumps often in Europe and Asia and this is because they were developed in Japan during the 1970’s. Contrary to what many people think, one indoor unit is capable of heating a small house, but where the house is particularly large, more units will be required. Ductless heat pump projects will tell you that homeowners can save up to 50% on heating bills, and replacing inefficient heating systems can save around $250 a year. What makes a Ductless heat Pump so Efficient? You can control each heating and cooling zone independently. This means that you don’t automatically heat or cool rooms that are unused and you eliminate the costs of heating and cooling unnecessarily like with central air systems. 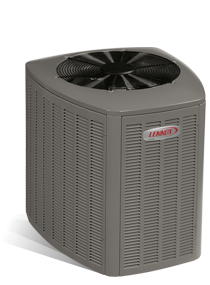 Ductless heat pumps only distribute air directly into each zone. Today’s ductless heat pumps have ultra-high Seasonal Energy Efficiency Ratios (SEER) between 16 and 22, as well as Heating Seasonal Performance Factors (HSPF). Ductless heat pumps use inverter-driven variable speed compressors. This means that the system maintains constant indoor temperatures by running at higher or lower speeds. 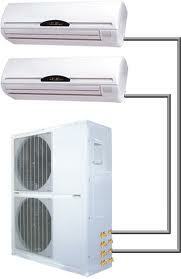 Ductless heat pumps are highly efficient and offer heating and cooling. 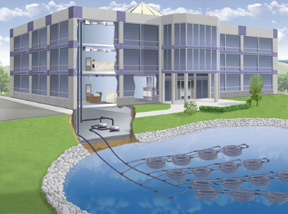 They consist of an outdoor compressor unit connected to an indoor air-handling unit. A small hole is needed for the insulated refrigerant lines to pass through the wall join the indoor and outdoor units. While ductless heat pumps are outstanding for a primary heat source, most homeowners find that in extreme weather conditions they make use of other electric heating units to supplement the DHP system. To be eligible for the Energy Efficiency Fund incentive, ductless heat pump systems must be split system heat pumps with inverter-driven outdoor compressor units and inverter driven or variable speed indoor blowers. All installed units must meet minimum AHRI ratings of SEER and HSPF. Federal Tax Credits for Consumer Energy Efficiency has a tax credit available to taxpayers who purchase a qualified energy-efficient residential ductless heat pump. The credit is worth 30% of the system cost. The National Appliance Energy Conservation Act of 1992 requires that split systems have a minimum SEER of 10.0 and HSPF of 6.8. In 2006 the SEER rating had already increased to 13 and today the SEER rating can be 21, 22, or 23. For information on SEER ratings, the Air-Conditioning and Refrigeration Institute provides a list of air conditioners and heat pumps and their rated efficiency. When looking for ductless heat systems, you will find several options at excellent prices for both residential and commercial applications. With products coming from top brands, there are also businesses that are registered with Better Business Bureau and this means that when you buy from them you can be sure of high quality products that meet certain standards and also offer reliable after sale services. When you invest in ductless heat pumps, you can either easily and conveniently place your order online or you can phone any one of the suppliers and in the space of a few days your pump will be shipped to your door. A ductless mini split air conditioner is not the same as a heat pump. They are made up of two parts; the outside part known as the compressor and the inside part known as the evaporator which distributes cool air throughout the house. Their biggest advantage is that they are fantastic when it comes to energy efficiency. 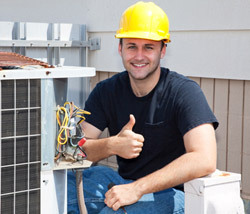 Another advantage of these systems is that they use a more environmentally friendly refrigerant known as R-410a. 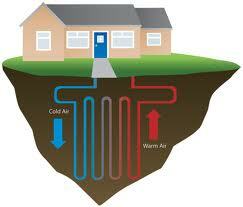 Next Article What Exactly Are Ground Source Heat Pumps?